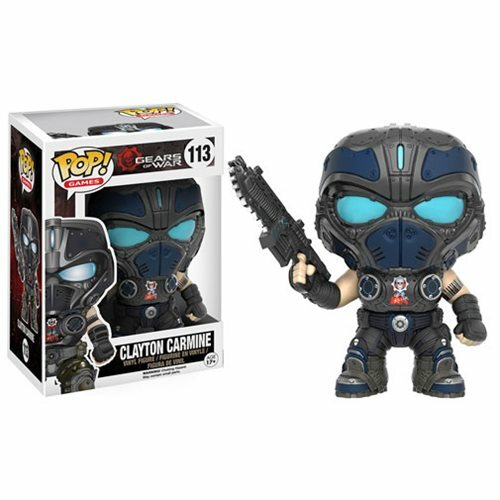 Fight off the deadly Locusts with this Gears of War Clayton Carmine Pop! Vinyl Figure. There is no sleep for the wicked as Clayton Carmine dons his gear to fight off another deadly threats. This Gears of War Clayton Carmine Pop! Vinyl Figure stands 3 3/4-inches tall and features Clayton in his full battle armor with his trusty Lancer assault rifle. Ages 17 and up.